Thinking about the importance of recognizing the immense contribution of American laborers this past holiday really highlighted for me an issue that’s been coming up a great deal lately in caregiver conversation circles: the growing number of caregivers suffering in silence. Let me be clear: This is a mistake. I’m not saying you should go around complaining all the time, but you most assuredly deserve the healing effects of being heard – what happens when you share your feelings and seek support from those you love, and who love you. Suffering in silence tends to lead to martyrdom – and honestly, I do not know of a single happy martyr! Being a caregiver is hard work! And as loving and caring as you may feel toward your parent, child or spouse, keeping your very understandable feelings of overwhelm, upset, frustration, isolation, etc. to yourself does a disservice to your relationship with your loved ones – and, most importantly, to the one with yourself. 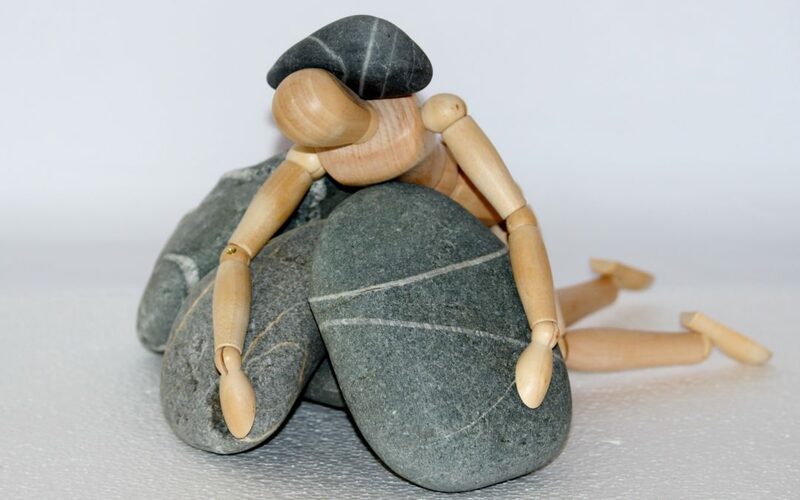 Suffering in silence causes a myriad of problems – take physically, for example: Stress, anxiety, fatigue, headaches, migraines, neck and shoulder problems (from “carrying the weight of the world”), gastrointestinal issues, systemic inflammation, greater susceptibility to illnesses, etc…the list really does go on. And while we generally dismiss them as being less important than our physical health, there are also all the mental and emotional impacts, from anxiety and depression to difficulty concentrating and focusing, gnawing resentment, and loss of the solid, reliable and loving connections that restore and revive us when our energy and willpower begin to run out. What to do to stay off this treadmill of dis-ease? Acknowledge, Respect and Accept your feelings! NO judgments. Feelings are not the problem…it’s what we do them that causes an unhealthy chain reaction. Know who your support system is. Is it a spouse, partner, best friend, support group, clergy or counselor? There is probably someone in your life who would be happy to be this resource for you – and if not, then it’s time to seek out that support. Schedule a complimentary consultation with me if you haven’t yet found a support system that works for you. Take breaks! Take naps, turn off your phone, take days off, participate in a hobby or activity you love, meditate, play with your pet (or grandchildren – as long as you can hand them back to their parent when you’re done!). Learn to consciously value your time, energy and positive experiences as never before. The above steps are not an exhaustive list, but merely starting points. 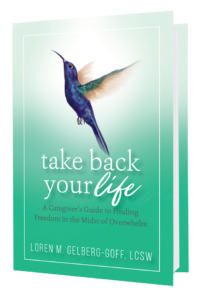 As a caregiver you need – and deserve! – time and space to express the feelings you have, and to learn strategies for taking as good care of yourself as you do of the others in your life. Please don’t go through this journey alone. Make the commitment to yourself right now, for your physical health if for no other reason: No more suffering in silence! Find your compassionate listener, and start talking to them about what’s happening in your world. 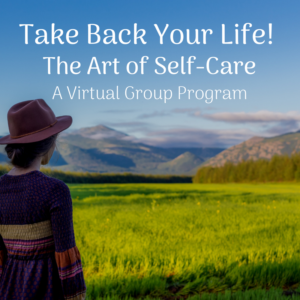 If you would like help getting started, or getting more proficient at your self-care, help is here! Click to access your Step By Step Guide .